Night at the races is the greatest way of spending your time with your peers and enjoying your time in fun. If you are race lover and if you want to organize race night at your place or club, then we are the one who can organize race nights at half of the rates than any other race night provider in UK. We only pick the best horses and pigs in the entire world and we run them in the race nights. If you are lucky enough and you bet on the horse or pig which eventually wins the race, then you will be able to earn a lot of money. What you will do for a successful race night? You can invite you friends over and have a lot of fun along with earning a lot of money through these nights at the races. It is up to you that if you want to run a race night which contains only few pigs or if you want to run a race night on a huge scale. Either way, we will present you with the best of the kind horses and pigs. We have even put all of our race night videos online in completely supportive digital format and in high definition. All such people who miss a race night can easily browse our website and find out the race night videos and download it in their system to watch later. Now they don’t have to visit every video store for getting them because we are making it available free of cost. Our services are not very different from physical racenight providers, as the only difference is we cater our services online. 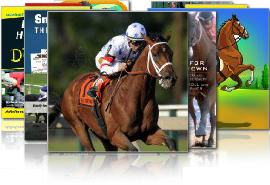 We provide the race night package online and you have to download it on your computer. You can open the program freely because they are fully protected and free from any kind of virus. Once you download and open the program, you will be asked to paste a web link on the screen which has already been provided to you. After you paste that link on the given space, you will be able to proceed further and run a race night program. You can also download another program, which gives to access to various important ingredients to run a race night like tote tickets, funny money etc. You can play a video at the beginning of the night at the races to let people know about how to do the betting. Usually the race nights last of 3- 4 hours but it also depends upon your speed at which you complete the betting process. If you do it within due time, then you will be able to complete a race night in expected time. So race nights are not only a way of having some fun but they can also be used as a fund raising idea or as a way of earning money.